The launch of Sniper Ghost Warrior 3 was a bit of a struggle. Hampered by various technical hitches, a massive five-minute load time and the absence of its planned multiplayer portion, it took various patches to make the game playable. Still, the third instalment continues to be a bit of a work in progress, combining the good, bad and ugly. Let’s start with the two negatives first. The bad takes various forms, from frame-rate drops to graphical tearing, admittedly common in open world games. Load times are still a gamble, with five-minute load times, especially if you are playing on a console, being a not so rare occurrence. Then there is the ugly. The developers wanted to create an open world and a high-quality experience, without, it seems, the necessary big budget. The game also suffers from mediocre dialogue and acting, two elements which are necessary if you want your game to stand out from an army of single-person shooters. Also, since the game was developed in Poland, it’s clear that certain descriptions were translated word for word. The protagonist Jon North, for instance is described as a “natural leader with craving for control”. Enough said. The game does have its good moments though. The sniping action is especially good – thankfully so, given what it says on the label. The various zoom levels make the action especially interesting. The graphics are also quite good – but not all the time and frequently, the game just feels too generic. 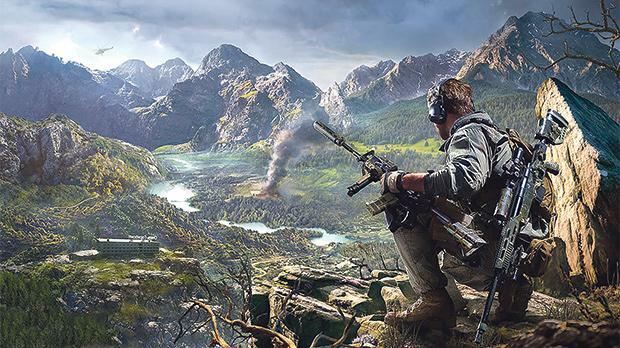 And that’s a pity because with so many military shooters on offer, Sniper Ghost Warrior 3 doesn’t distinguish itself.